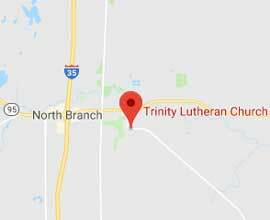 Wherever you are at in your Christian life, there is a place for you at Trinity Lutheran Church. Use the menu above or the links below to explore the opportunities available to you. If you have any questions, please do not hesitate to contact us! Children and Family: The journey that begins in Baptism is built upon the promise of God’s unfailing love through Jesus Christ, our Lord. It is our desire at Trinity Lutheran to be partners with parents in ministry. We provide a variety of programs that help parents teach their children about the Bible, the love of God, and life long discipleship. Confirmation: The program is designed to help students better understand how to keep these promises as they live as followers of Jesus Christ. Because of the sacrifice Christ has made on our behalf, choosing to follow Christ is the most important commitment to make. Confirmation is a significant step in one’s faith journey. High School Youth: Our Youth Ministry exists to gather senior high students to share in God’s word, praise God’s name, expand our faith, and work as God’s instruments. Young Adults: During the college and young adult part of your life when you are away from home, working countless jobs, overburdened with homework and all the other things life throws at you it is difficult to find time to attend church services and events. When you were Baptized, Confirmed and Graduated we promised to be there for you and we would like to keep that promise. Adults: From bible studies, to book clubs, we have something for you. Trinity is a place for you to meet new friends, get involved and discover what God has in store for you! Missions: It is our Purpose to be a reflection of Christ’s love, his hands and feet, in service to our neighbors in the community and the world. We invite you to join us in our effort to serve others as Christ came to serve us.